noirPronunciation: /nwär/ 1. That is in the style of a film noir; gloomy and fatalistic in character; (also) using cinematic devices such as wide angles and partial lighting; urban, morally ambiguous, anti-heroic. Cf. film noir n. and adj. 2. A genre of crime film or detective fiction characterized by cynicism, sleaziness, fatalism, and moral ambiguity; film noir. Also: a film or novel in this genre. Noir. Defined as a genre of film or detective fiction “characterized by cynicism, sleaziness, fatalism and moral ambiguity” that is “gloomy and fatalistic in character,” this is a style that’s making a comeback in the strangest of places—young adult fiction. 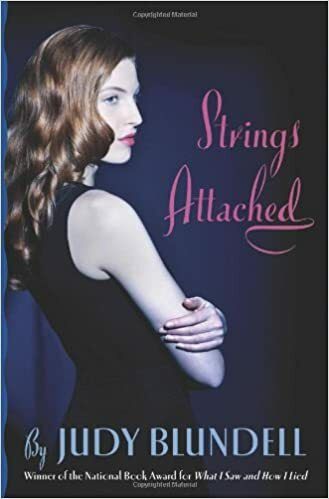 The past few years have seen the rise of such titles as Mary McCoy’s Dead to Me, Judy Blundell’s What I Saw and How I Lied and Strings Attached. And now my newest novel, Pasadena. A contemporary noir set in California’s City of Roses, Pasadena tells the story of dead girl Maggie Kim, and her best friend Jude’s quest to discover if it was suicide, an accident, or murder. And, in Maggie’s world, each demise is just as likely as the next. Contemporary or “neo-noir" still follows the hardboiled tenants of noir fiction established by Dashiell Hammett, Raymond Chandler, Chester Himes, Leigh Brackett and the like, but places them in the modern world. “Retro-noir," like the Blundell and McCoy books mentioned above, is set in the period that made noir great—1930s to ‘50s America. Both rely on sparse language, a terse rhythm, and above all, down-on-their-luck, damaged characters in a cynical world. Veronica was the daughter of a hardboiled detective in a small town of haves and have-nots “characterized by cynicism, fatalism and moral ambiguity” and a whole lot of fun. She was pretty hardboiled herself, uncovering the dark side of Neptune’s Cove in and out of high school. The outpouring of love experienced in the now infamous Kickstarter campaign to fund a feature film may have been because the fans were now grownups with good jobs. Or there was another reason. The birth of noir in the 1930s and 40s came about as a direct result of the Great Depression. Crime was up, the economy was down. Two World Wars bookended either side of the slump. What could be gloomier or more fatalistic than facing starvation in one of the richest countries in the world? After WWII, the economy took an upswing, and so did spirits. But a certain cynicism lingered and noir continued to thrive on screen and on the page. That is until Hollywood stumbled against the black list and the moralistic glare of the Cold War. By the time young adult literature took the stage as a genre in 1967 with S.E. Hinton’s The Outsiders, noir was no longer the “It” genre. Realism on the page and full-color spectacle on the screen had taken its place. Except for when the country hit a rough patch. And what was “realistic” and what was “noir” overlapped again. Rian Johnson wrote the screenplay for Brick in 1997. He pitched the script for seven years but no one was interested in making a teen noir. Instead, he scraped together the budget with help from family and friends. Brick was released in 2006 to positive reviews, but it wasn’t until 2008—after the Great Recession, bookended by the War on Terror and the war against ISIL—that Empire Magazine listed it as one of the 500 greatest movies of all time. Judy Blundell’s retro-noir What I Saw and How I Lied won the National Book Award in Young People’s Literature that same year. Hard times make for hardboiled stories. Dark times inspire noir. But why target teens this go round? For me, the answer is simple: Childhood ain’t what it used to be. Kids today are more globally exposed to what’s going on in the world. They are activists. They are citizens of the World Wide Web. And they are unequivocally affected by current events. College tuition is skyrocketing. Violence against children, always an issue, is on the rise. Tough times call for tough measures, they say. But they also call for tough people. It is the job of young adult literature to light the way. You can’t do that by pretending everything is jake, to borrow a phrase of the genre. We are on the cusp of great change in the world—a presidential election year here in the States, while Europe is struggling through Brexit, and the Middle East experiences the largest exodus of refugees since World War II. The economy is a roller coaster. The Civil Rights Movement is still fighting an uphill battle. Police killings. Killing police. Environmental disasters. It’s looking pretty grim. Not kids’ stuff. But YA isn’t for little kids. It’s for teens on the cusp of adulthood. It’s for our future. What noir teaches us is that, even in the darkest of days, in the most godforsaken places, we survive. We make do. And it might not be pretty, and it certainly isn’t easy. But we’ve been here before and we’ll be here again, if history keeps repeating itself—and it will. So, welcome to the rebirth of noir. To paraphrase Bette Davis in the noir-ish melodrama All About Eve: Fasten your seatbelts, it’s gonna be a bumpy read.